MOSCOW, March 17. /TASS/. Net profit of Alrosa, the world's biggest dimond produces, under the International Financial Reporting Standards (IFRS) for 2015 amounted to 32.2 bln rubles ($463.92 mln) against a net loss of 16.8 bln rubles ($241.72 mln) in 2014, the company said Thursday. MOSCOW, May 12. /TASS/. Russian President Vladimir Putin signed a decree on making changes in the list of strategic enterprises and joint-stock companies, according to which the share of the state in Alrosa could amount to 33.001%. The Russian Federation currently owns 44% in Alrosa, the Republic of Sakha (Yakutia) - 25%, Yakutian districts - 8%. Around 23% of the company’s shares are in the free float. MOSCOW, June 20. /TASS/. Rusal will not close two aluminum plants at current metal, the company’s CEO Vladislav Soloviev said on Monday in an interview with TASS. However, he did not rule out that in the future, with a decline of aluminum prices below $1,500 per tonne the company could get back to the idea of closing plants with a total capacity of 200,000 tonnes of aluminum per year. "We talked about reducing capacity by 200,000 tonnes of aluminum, meaning two plants - Kandalaksha and Novokuznetsk. Year ago, we said that suspension of capacity at the Kandalaksha plant will depend on contract signing with Rosatom, Novokuznetsk - on the general market situation. We signed Kandalaksha contract, the market situation has improved. But this does not mean that the issue is gone completely, we continue monitoring this companies," Soloviev said. According to him, if the current price of the metal was below $1,500 per tonne, the company would reduce capacity before the end of the year. However, the current price is at $1,600, the company has a contract with Rosatom and there is no urgent need to close them. "If, for example, two months later, the price falls to $1,450, I will say it again - the plants will be at risk. As long as the price is above $1,500, they are working. Thus, we are talking about financial model - in today's financial macro-economic conditions there is no need to shut down the plant. In January, even taking into account the contract with Rosatom, this topic was relevant," he said. According to Soloviev, the company might pay dividends in 2016 with the price of aluminum above $1,600 per tonne. "The shareholders will decide on dividend payment in September, as usual, after the results of six months and the preliminary results of the Q3. Everything will depend on the metal price and our cash flow. It is difficult to talk about it now. There is also Q3, if the price in this period will be higher than $1,600, we could pay dividends," he noted. Currently the price of the metal on the London Metal Exchange is at $1,602.5 per tonne. Last time the company paid dividends last fall. In October 2015, management of Rusal decided to pay interim dividends for 2015 totaling $243 mln (before that the company paid dividends in 2008). En+ of Oleg Deripaska, which owns 48.13% of Rusal shares, accounted for about $117 mln in the form of interim dividends. Mikhail Prokhorov Onexim (17.02%) received about $41 mln, SUAL Partners of Viktor Vekselberg and Leonid Blavatnik (15.8%) received $38 mln. Amokenga Holdings company (owned by Glencore and owns 8.75% of Rusal) received $21 mln, Rusal management (around 0.26%) - $600,000. A little over 10% of the company’s shares are in free float. Earlier Rusal said it adopted a new dividend policy whereby dividends will be paid at the rate of 15% of EBITDA. Until the end of the year, the company has no plans to attract debt financing. "We received $700 mln due to refinancing, the rest of the debt we will pay using our own funds .This year we are certainly not planning to attract financing," Soloviev said. At the beginning of 2016, Rusal expected to repay and refinance its debt during the year totaling about $1.3 bln. The company's net debt as of December 31, 2015, amounted to $8.372 bln. According to Soloviev, Rusal is negotiating with RusHydro on a possible involvement of the generating company in the completion of the Taishet aluminum smelter in the Irkutsk region with the capacity of up to 750,000 tonnes of aluminum per year. "We are discussing with RusHydro and ministries a possible participation of the company in the project of Taishet aluminum smelter. We hope that by the end of summer or until the end of July we reach some decision. There are instructions from the President on this subject, we need to perform," he said. Construction of Taishet plant aluminum smelter in 2007. In November 2013, Rusal froze construction due to low aluminum prices. As of now, Rusal has invested more than $700 mln of his own funds in the construction of the plant. A search for investors for the further construction of the enterprise is in progress. According to the International Aluminium Institute, China has finally started to cut production. In addition, metal production in North America reduced significantly. "Now it is clear that China at least does not increase production of aluminum. There is no growth of semi-finished products export from China; we even saw a slight decline. Possibly in August-September ther will be import, China itself might need aluminum. We will hope that China is serious about this, and capacities will not grow anymore, which means that the market will slowly restore. I think that China until the end of the year will be in balance, maybe in slight deficit that may result in short-term import," he said. Speaking about the current pricing environment, Soloviev said that the company currently receives the premium from sale of their products and expects further growth. "Premiums are on the same level as at the end of last year. Europe - $75 per tonne, Asia - $85 per tonne. I think that now Asia will grow to $100 per tonne, America will have $7.5-8 per tonne. I believe they have reached a more or less stable level - the bottom, almost. Before the end of the year we should see this level shifting by 15-20% up," Soloviev said. A year ago, the idea of ··creating the Aluminum Association has just been discussed, and at the end of 2015 the association has been created. "This year we saw growth of consumption of our aluminum in Russia. It is not very significant, but it exists, and this is very important, because in 2014 we saw a drop. I think that by 2020 we will get a result similar to what we have stated - 2 mln tonnes per year - instead of 850,000 tonnes now," Soloviev said. According to him, this year the company's sales in the Russian aluminum market will grow by 3-5%. "Without the work of the Aluminum Association it be negative, there is a general contraction of the market by 30%, or about 300,000 tonnes. In 2016 we will lose additional 150,000-200,000 tonnes of aluminum. The total volume of the domestic market is 1.4 mln tonnes, including around 850,000 tonnes of our metal. This year our production will remain at the level of 3.6 mln tonnes," Soloviev added. KEMEROVO, August 26. /TASS/. Russia’s Energy Ministry is keeping its 2016 coal production outlook at 390 mln tonnes (4% increase), Minister Anatoly Yanovsky said Friday. According to Aman Tuleev, the governor of the Kemerovo Region, coal production in the region may reach 220 mln tonnes this year, up 2% compared with 2015. "Coal production will increase compared with last year to around 220 mln tonnes," he said. It is planned that the increase of gold production in Russia will mostly take place through the development of local gold ore fields. In contrast to this, the production of gold at alluvial fields will steadily decline during the next several years, and could be completely stopped by 2050. At present the share of alluvial deposits in the overall structure of gold production in Russia is estimated at about 20%. According to data of Rosgeologia, (Russia’s state-owned holding in the field of geology), Russia’s overall gold reserves are estimated at 40,000 tonnes, which means that the country will remain one of the world’s leading gold producers till at least 2030. Still, despite the existing large reserves, the quality of ores of the majority of Russian ore gold fields is significantly lower, than those in other leading gold nations. This will require the use of the new, modern production technologies. However, due to existing Western sanctions, Russia currently experiences a shortage of such technologies, as, prior to sanctions war, the majority of them were imported to the country from abroad. KRASNOYARSK, April 22. /TASS/. ONEXIM Group controlled by Russian billionnaire businessman Mikhail Prokhorov plans to put a large copper/molybdenum deposit in southern Siberia into commercial operation in 2021, Andrei Listkov, the Director General of the Golevskaya Ore Mining Company, an Onexim subsidiary said on Friday on the sidelines of an economic forum underway in the East-Siberian city of Krasnoyarsk. The Ak-Sug deposit, which ranks among the large ones in terms of proven reserves, is located in the upper reach of the river of the same name in the southern Siberian region of Tuva, on the heavily rugged southern slopes of the Eastern Sayan mountain range, some 260 km to the Southeast of the regional capital Kyzyl. Experts say the deposit contains 4.2 million tonnes of copper, 114,700 tonnes of molybdenum125.7 tonnes of gold, and 794.7 tons of silver. "It's important to endorse the construction project by August 1, 2019 and to streamline commercial operations in 2021," Listkov said, adding that the project would have a 23-years-long output period, producing annually some 115 tons of copper, more than 2 tonnes of gold, 1,740 tons of molybdenum, and 1.5 tons of iridium. The Krasnoyarsk Economic Forum opened on Thursday and will be over on Saturday. Its main motto reads: 'Russian Economy: An Agenda from 2017 through 2025'. TASS is a strategic partner of the forum. ST. PETERSBURG, May 24. /TASS/. Polyus expects to join ranks of top three gold producers in the world in eight years, Chief Executive Officer of the largest Russian gold miner Pavel Grachev told TASS on Thursday on the sidelines of the St. Petersburg International Economic Forum (SPIEF). "The launch of the Sukhoi Log [field] scheduled to 2025 will be the next phase [after the Natalkinskoe field start - TASS]. This will add 1.6-1.8 mln oz. of annual production. Accordingly, the production level of 4.5 mln oz. subject to the natural production decline across other major producers will make it possible for the company to be among the top three leaders," Grachev said. Reaching gold production of 2.8 mln oz. in 2019 will help Polyus to climb from the eighth to the fifth place among global producers. Polyus is not considering new projects now, the top manager said. "We endeavor to objectively consider our capabilities and deliver plans set by ourselves in respect of already existing projects," Grachev added. ST. PETERSBURG, May 25. /TASS/. The project of making a golf field, which Nornickel wants to implement in Krasnoyarsk, is under way. The company hopes the approval and beginning of construction may be possible in summer, the company’s Vice President Elena Bezdenezhnykh told TASS on the fringes of the St. Petersburg International Economic Forum (SPIEF) on Friday. "For 2018, we plan the Siberian Federal University will formalize the land plot [for the construction] and we shall have the permission for this project," she said. "The project is under way, and as all the expert conclusions are in place, the implementation will begin - we hope to manage it within 2018, in summer." In 2017, the company’s vice president said the Siberian Federal University (Krasnoyarsk) organized a fund for the field’s construction. The investments were announced at 90 million rubles ($1.4 million). MOSCOW, June 11. /TASS/. Shares of Russia’s steel manufacturer Evraz went up by 7.05% in London trading on Monday to $535.8 after Fitch Ratings upgraded the company’s ratings to 'BB' from 'BB-'. The rating agency said earlier on Monday that the upgrade reflects Evraz's successful reduction of its net debt to $4 billion. The outlook is stable. Evraz is one of the biggest vertically integrated steel and mining companies with assets in the Russian Federation, the United States, Canada, the Czech Republic, Italy and Kazakhstan. In 2017, its output equaled 14 mln tonnes of steel. The main beneficiaries are Roman Abramovich (30.5%), Alexander Abramov (20.9%), Alexander Frolov (10.45%), Gennady Kozovoy (5.8%), Alexander Vagin (5.7%), and Eugene Shvidler (3.03%). Cherepovets Steel Mill - steel giant the size of the small town. 25 000 people work here. Cherepovets Steel Mill products are used by such automobile brands as GAZ Group, KAMAZ, Renault-Nissan, General Motors (Uzbekistan), Hyundai-Kia, Volkswagen. The products of Severstal are used both in civil and military shipbuilding. Special body steel is used for the construction of submarine and surface warships, including those used for the construction of 955A submarines (Borey-A) and Project 885 (Yasen). With the use of Cherepovets metal, such large infrastructure projects as the Western High-Speed ​​Diameter in St. Petersburg, the Vostochny Cosmodrome, and the Zvezda Shipbuilding Plant were built. Zinc-coated rolled products from Cherepovets are very popular and used in the construction of a series of cultural and sports facilities, including the business center "Moscow City", football stadiums World Cup 2018, new stations, as well as metro subways of Moscow and St. Petersburg. "Economy Today" | Russia continues to rely on coal. The Minister of Energy of the Russian Federation Alexander Novak stated that this year the line of 420 million tons of extracted coal will be exceeded. This indicates that Russia will surpass the maximum level of coal production in the USSR, which was achieved in 1988. 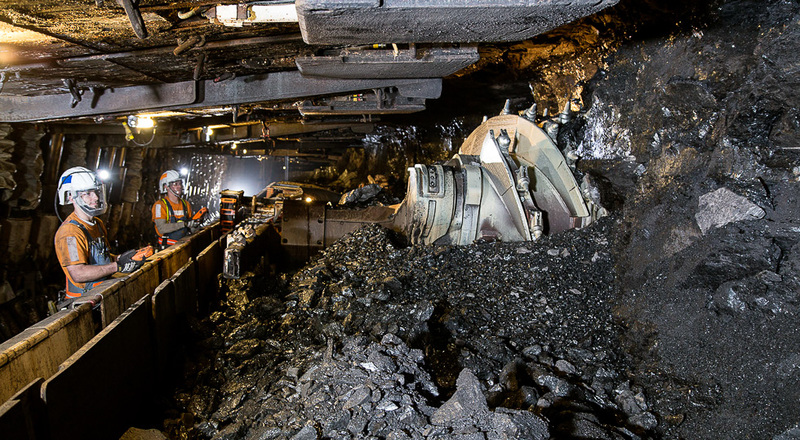 For example, 195 million tons of enriched coal will be received, which is 28 percent higher than the old Soviet record. It is noteworthy that this is the statement of the Ministry of Energy was made during the visit of Russian President Vladimir Putin in Kemerovo, where the Russian leader said that our country needs to set the task to increase coal exports. Specific numbers, Putin did not name, but it is an interesting statement by the President, given the current trend in developed countries, which is to avoid the coal and the gradual transition to a more environmentally friendly fuel. However, in reality it is nothing more than an ideological message, as the policy of the modern EU has led to completely opposite results. MOSCOW, October 26. /TASS/. After launch of the Baimskoye gold-copper deposit, which is among the world’s biggest undeveloped deposits of copper and gold, Chukotka’s Gross Regional Product (GRP) will double in 2020, the local authorities say. "We estimate the GRP in 2019 will make 79.6 billion rubles ($1.2 billion), and in 2020 it will be 162.9 billion rubles ($2.47 billion) after the Baimskoye ore deposit is launched," Head of the regional Economy Department Larisa Goncharova said during discussions at the State Duma on Thursday. 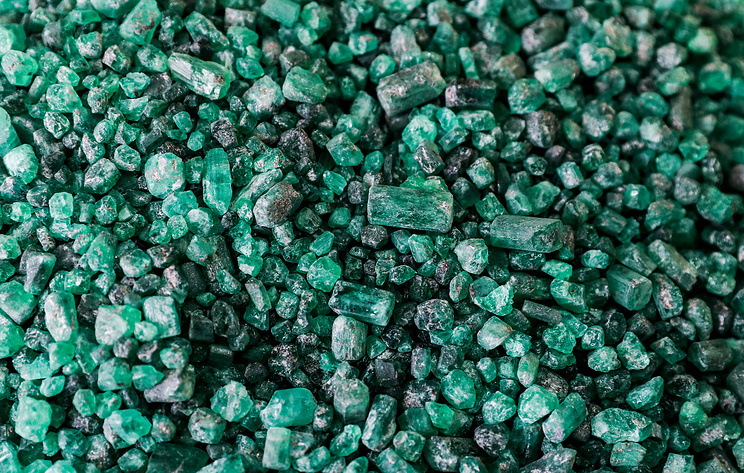 The project, about selling which to Kazakhstan’s KAZ Minerals has agreed a company of Chukotka’s former Governor Roman Abramovich, includes construction of a mining-processing plant. In September, the Ministry of the Far East’s Development forecasted the GRP would be growing by 45 billion rubles ($680 million) a year after the project begins, expecting new investments of 360 billion rubles ($5.5 billion). In July, Chukotka’s Governor Roman Kopin said with exploitation of the Baimskaya ore zone, the regional budget would not need state subsidies any longer. MOSCOW, December 3. /TASS/. The Norilsk Nickel Company completed upgrade of its data centers’ engineering infrastructures at two key industrial facilities - in the Polar Division and at the Kola Mining and Metallurgical Plant (Kola MMC), the company’s press service said on Monday. "The data center’s upgrade is a part of Nornickel’s global program to implement high-performance computing systems," the press service said. "The upgrade has increased the data centers’ fault tolerance and capacity." "The company has achieved a necessary level of safety in data keeping and processing," the press service said, adding the upgrade’s cost is more than 450 million rubles ($6/8 million). After the modernization, two data centers at the Polar Division have double capacity. In addition to systems, supporting the data centers’ IT infrastructures, the company has implemented a dispatch and management system for the Division’s engineering complex. Earlier, in autumn, the company built two new data centers at the Kola MMC - in cities Monchegorsk and Zapolyarny. 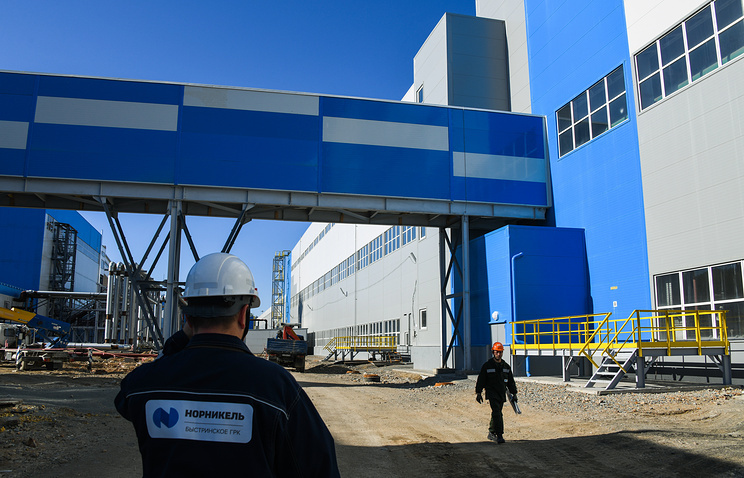 Nornickel has been upgrading its data centers since 2015. The final stage would be an information cluster in Moscow, which will unite all the corporate information systems. This work is due to be completed by 2020. Data centers are complexes of engineering and IT infrastructures, which are necessary for highly reliable computing power with a high level of fault tolerance and availability. They provide up-to-date information on conditions and parameters of engineering systems and technological processes. have to live with local corruption to do business.